Our local non-profit organization is critical in creating economically and socially a vibrant community: we extend a helping hand to those who need it the most, our social citizens. We provide a service to our members that without our organization, they would not have received. For a slight membership fee of only $20.00 per year, our members get to enjoy special event programs once a month or more. These programs are entertainment, educational with refreshments plus we give our members a more meaningful life in our community. The SCS Social Citizens is dedicated to providing our members of Sunny Isles Beach, Aventura and the surrounding area with quality service, events, trips, programs & activities. We continue to build on enhancing the quality of life for our members with an array of exciting events and leisure activities, throughout the year. We also go on trips in the Winter Season that are educational to learn about the different parts of Florida. These trips mostly go to museums in Florida to learn about the history, customs, food, people, sights and sounds of our great state. A Grant, Donation or Sponsorship would enable our organization to continue our work which gives many members a happy life and enriches as many members as possible and it is all tax-deductible for the Donors. 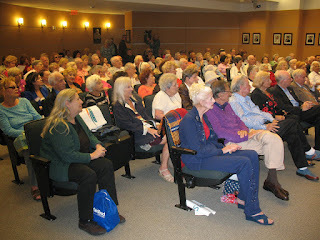 Without SCS Social Citizens of Southeast Florida, many would suffer from loneliness and depression.